Details: Plastic Liverpool FC crest and New Balance logo. 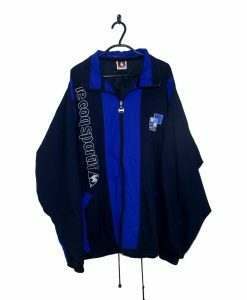 Sponsor and Name printed. Premier League badges felt. 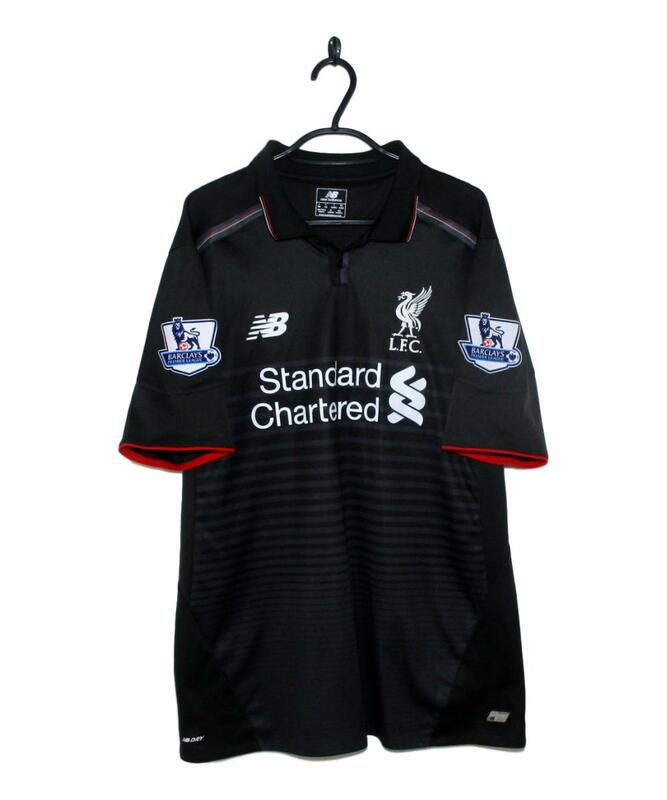 The 2015-16 Liverpool Third Shirt is black with dark grey stripes running across the jersey. 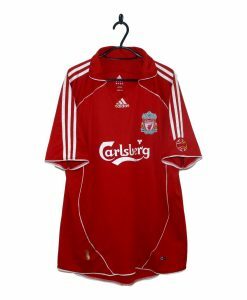 Thin red and white trim appears on the collar and along the front of the sleeves. 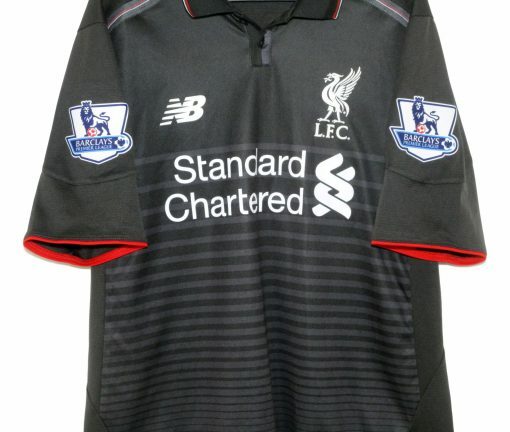 Red trim appears on the cuffs. The New Balance logo, LFC crest and Standard Chartered shirt sponsor are all coloured white. 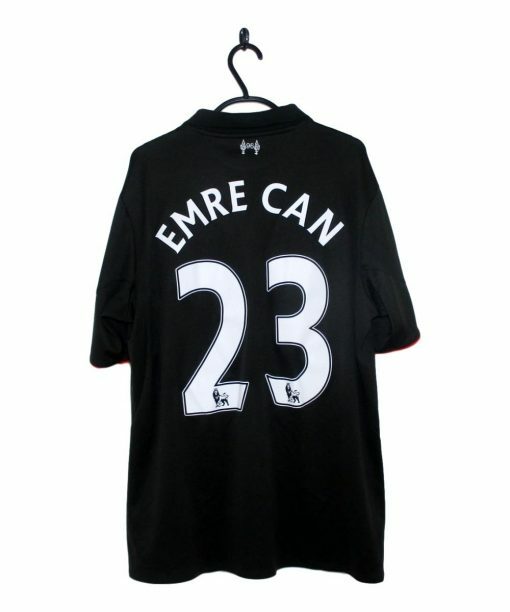 Worn by the likes of Emre Can.